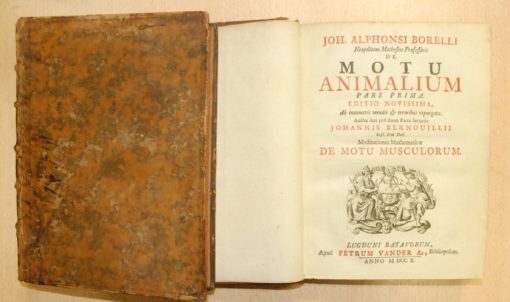 De motu animalium. 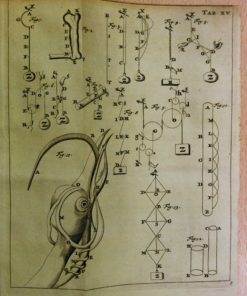 Editio novissima, ab innumeris mendis & erroribus repurgata. 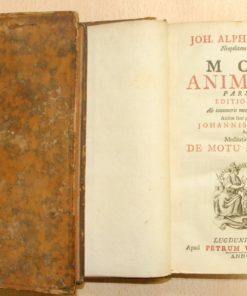 Additae sunt post finem Partis Secundae: Johannis Bernouillii, Meditationes mathematicae de motu musculorum. 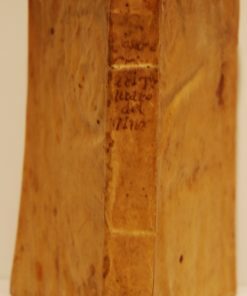 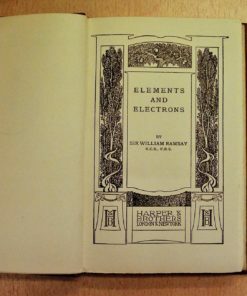 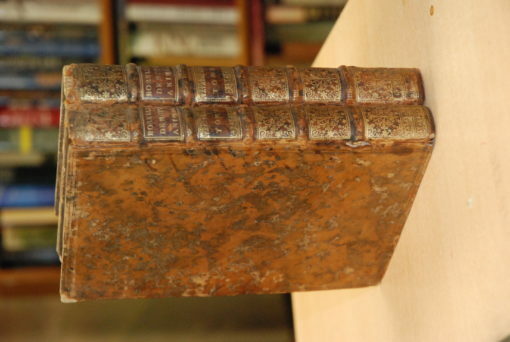 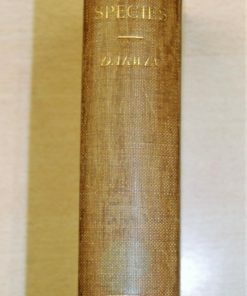 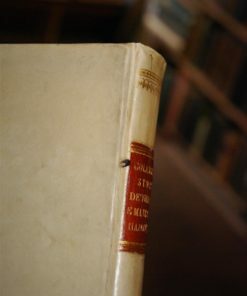 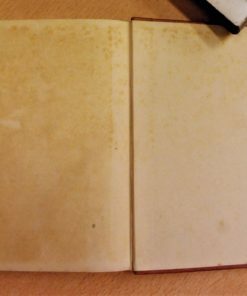 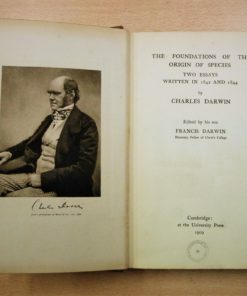 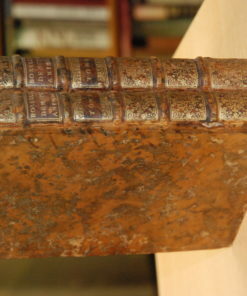 2 vols., large 8vo., contemporary full-leather binding with gilt lettering and ornamentation to spine, pp. 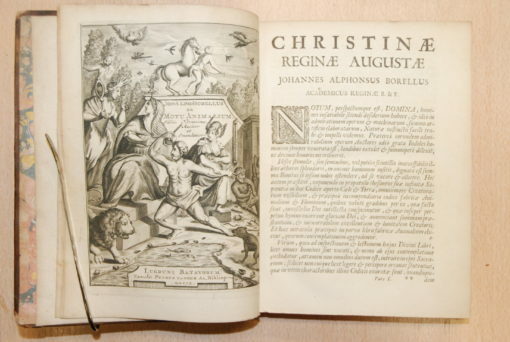 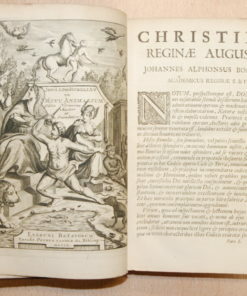 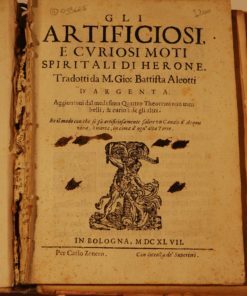 , 236, ; , 314, -8, with printer’s colophon on title page, page with dedication to Boheravius with elaborate copper-engraved frame, frontispiece with highly elaborate allegorical copper engraving (both dedication and frontispiece written and engraved by Petrus Vander), 19 folding plates, red sprinkled edges. 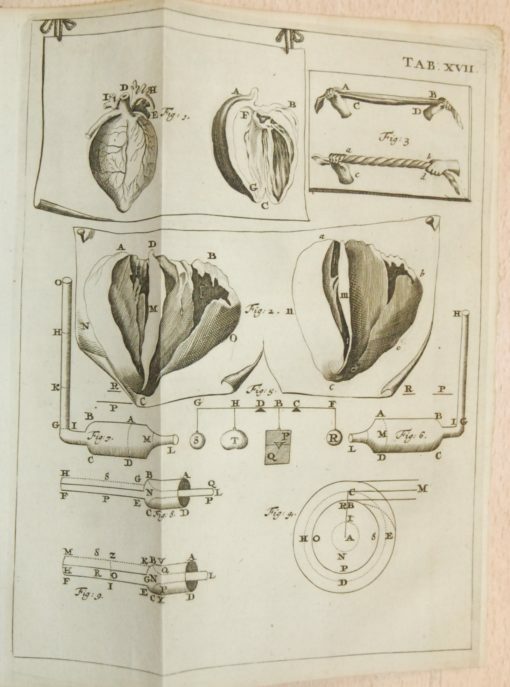 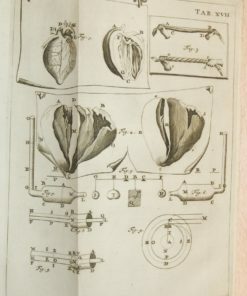 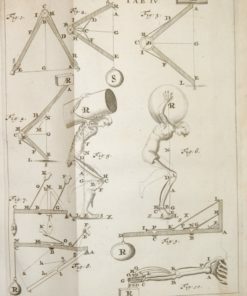 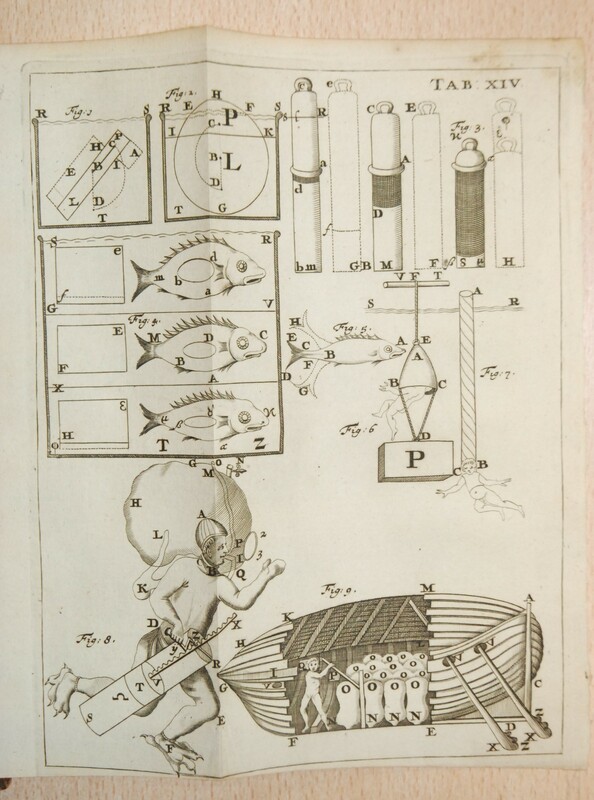 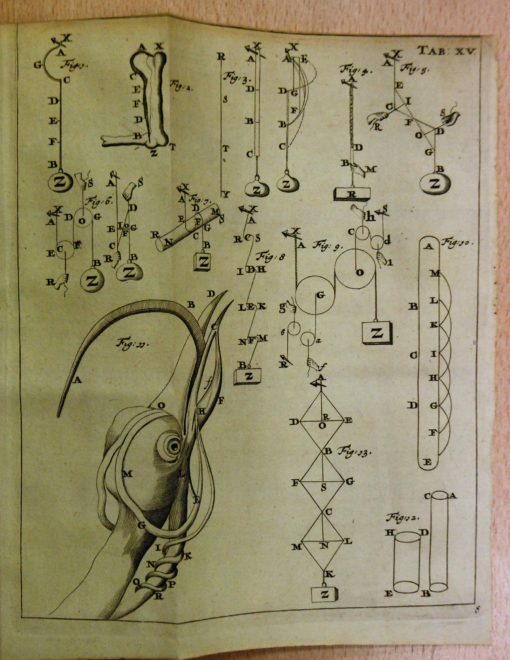 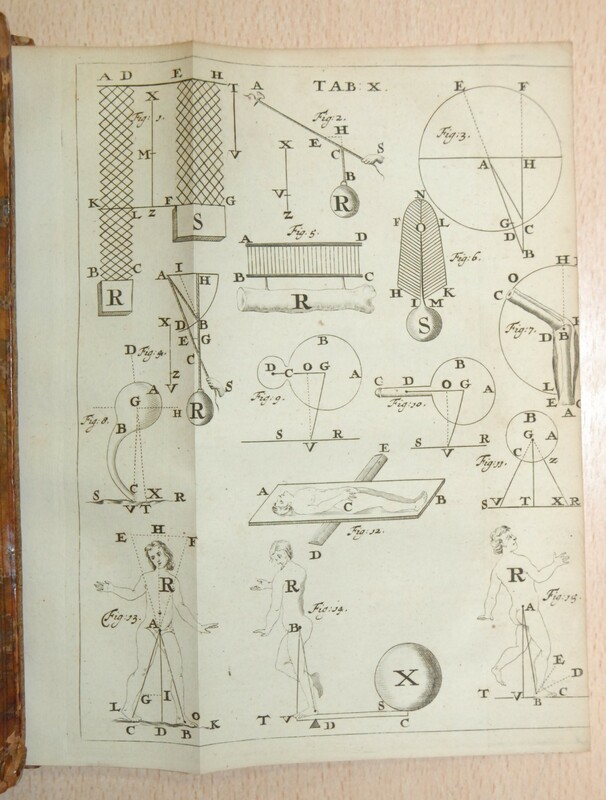 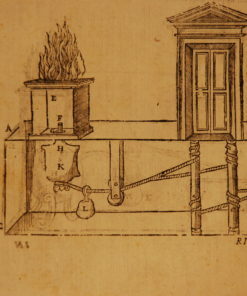 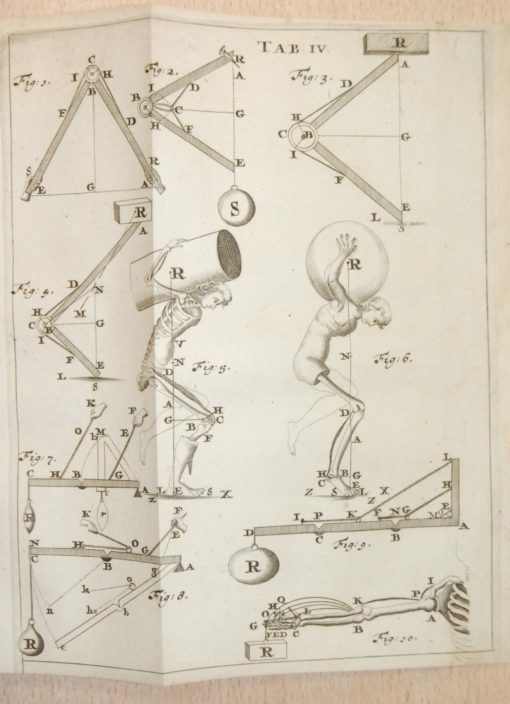 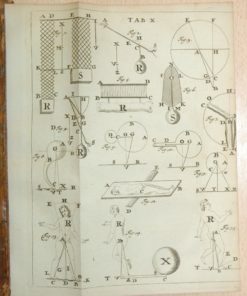 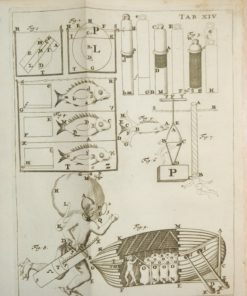 A fine reprint of the original which appeared in Rome in 1680-1, including a treatise on the muscles by Johann Bernoulli. 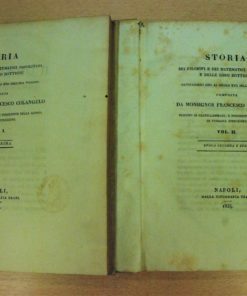 Some splitting to the outside of the joints, otherwise an excellent copy. 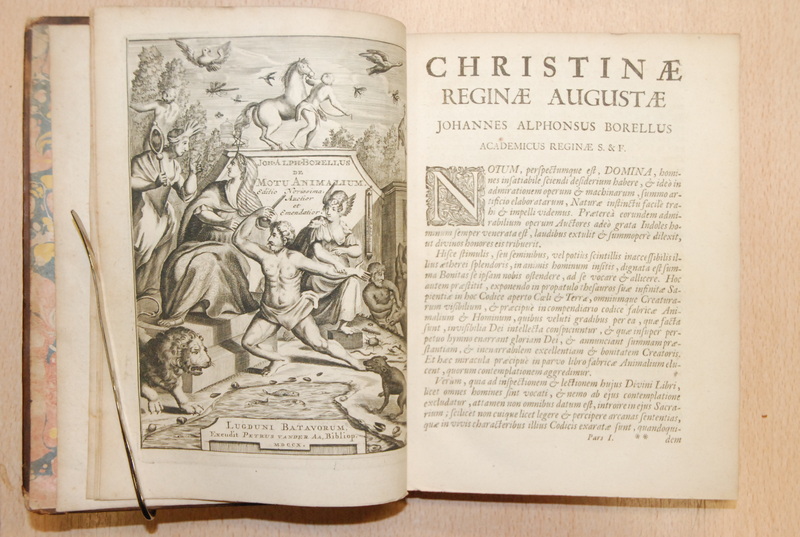 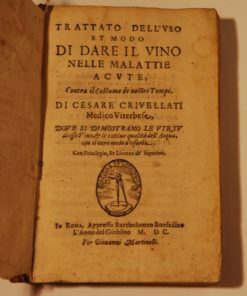 Text in Latin.